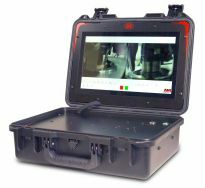 AMI is proud to announce the introduction of its digital welding vision system. This industry leading system provides an image that is so clear that a welder can make adjustment or correct defects in real time. Images can be recorded and synchronized to AMI’s industry leading data collection and weld recording systems. AMI’s HD vision ecosystem includes fixed focus cameras, integrated with each of AMI automated, orbital pipe welding systems and torches, mated with a high definition touch screen display. These cameras are small enough, and more importantly durable enough, to fit on the torch being used in any configuration of narrow grove, outside diameter, inside diameter, or cladding operation. All legacy AMI analog camera systems can be retrofitted with the new digital vision system. Meet our Team! Experience our Orbital Welding Equipment: including fusion welding, cladding, pipe welding and custom engineered solutions. Automated Welding at it’s Best! New touch screen fusion remote pendant with a robust keypad plus programmable touch screen display. Welders will have all the critical information they use during weld preparation and welding operations. Welders can use the pendant to access all their stored weld schedules and reduce downtime. The pendant will also operate AMI’s new Dual Weldhead Controller providing one-handed control of the weld system controller and two wellheads. 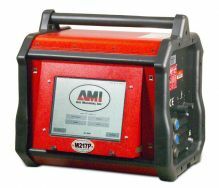 Arc Machines, Inc., (AMI) is pleased to announce the newest addition to our automated TIG fusion orbital welding systems the M217P. This new workhorse is offered as a compact unit creating ease of portability for on-site applications while maintaining the all the functionality of the M217. The M217P replaces the M205. Please contact AMI at 818-896-9556 tel:818-896-9556 or sales@arcmachines.com for information. Dual Weldhead Controller allows letting operators use two AMI weld heads with one M217 Weld System Controller. Accompanied with a fusion remote pendant, weld prep and control can be fully centralized at the operator’s location. The operator can load one weldhead while the other is welding and purging vastly improving productivity and throughput. The operator can toggle between both weldheads using the new AMI Pendant or the M17 Weld System Controller’s touch screen. Including fusion welding, cladding, pipe welding and custom engineered solutions. Our fusion tube and thin-wall pipe welding systems are designed to meet or exceed the critical welding specifications of industries as diverse as semiconductor, biopharmaceutical, food processing, power generation, aerospace and petro-chemical requiring high-quality repetitive welds. Arc Machines, Inc. (AMI) is proud to be celebrating over 40 years of providing customers with the highest quality and widest range of orbital welding equipment in the world including fusion welding, cladding, pipe welding and custom engineered solutions. Our fusion tube and thin-wall pipe welding systems are designed to meet or exceed the critical welding specifications of industries as diverse as semiconductor, biopharmaceutical, food processing, power generation, aerospace and petro-chemical requiring high-quality repetitive welds. 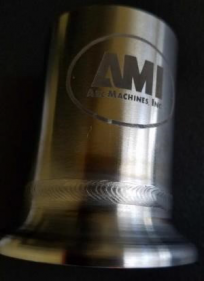 AMI equipment “Made in America” is designed, manufacturer and tested at its facility in California, USA. AMI was recently acquired by ESAB, a leading global producer of welding and cutting equipment and consumables. ESAB’s investment in AMI reinforces their strategic focus on automated welding, and will add complementary technology and a strong global brand. As an ESAB brand, AMI independently manage its sales, marketing, manufacturing and engineering. AMI is distributed in more than 75 countries and is committed to providing the highest quality product development that has consistently exceeded customer expectations for performance, value, schedule and quality.